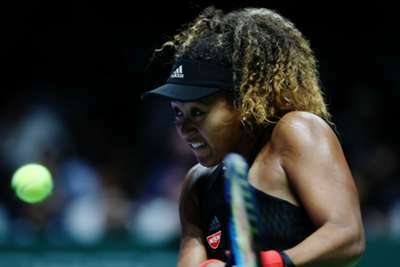 US Open champion Naomi Osaka will use her WTA Finals defeat to Sloane Stephens as a learning tool, acknowledging the ruthless nature of the Singapore tournament. Osaka, 21, went down 7-5 4-6 6-1 to Stephens in her opening match on Monday, her debut at the season-ending competition not going to plan as she fell short of a fightback. But the Japanese insists there is no need to regret the reverse as she settles in among the world's best players. "I took my five minutes of being really sad," Osaka said. "From then, I don't know. I just tried to think that you learn more when you lose, so what can I learn from this match and try to apply it to the next match? "All the players that you play here are the best in the world, and you expect to have a really hard battle every match. In a way, you can only get better every match you play. "Usually, after I lose, I have very specific things that I think would have changed the match. But I don't really have any regrets for me. This entire match was a really hard battle. "I think she played really well and I think she deserved to win the match." Stephens added: "I was just trying to stay calm for the whole match. I knew there was going to be some ups and downs. [Osaka] is a great player with a lot of confidence. I knew I would have to battle."